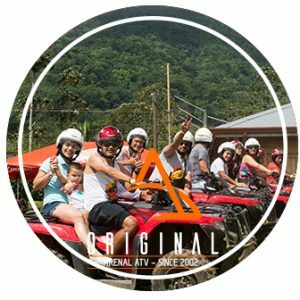 Imagine on ATV ride right next to the Arenal Volcano, where you can find volcano history, crazy trails and a lot of excitement! 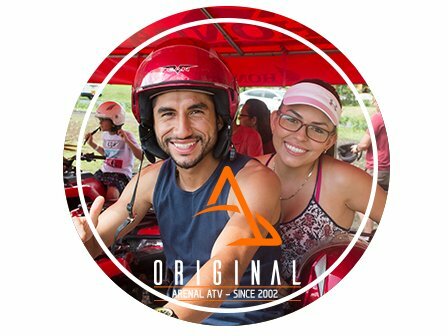 The tour starts with a brief explanation in a practice circuit where you can train how to drive safety in our modern and brand new ATV’s. Once you are ready, you will start in open planes to warm up for the trip. 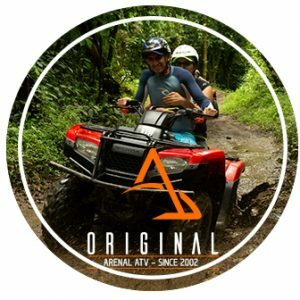 Our 100% off road and muddy trails are made to create adventure meanwhile you enjoy the amazing panoramic views and will create on you and extraordinary experience. 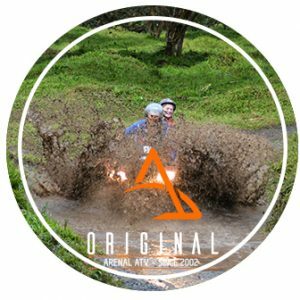 On the journey you will find the old impact craters of the Arenal Volcano last eruption in 1968, also you will discover a river with volcanic mud, right there our guide will explain you about the benefits of this natural exfoliant, after that we will go through a small viewpoint to see the beautiful Arenal Lake, also in the farm we have traditional crops of the area, here you will receive a little explanation about La Fortuna´s agriculture. 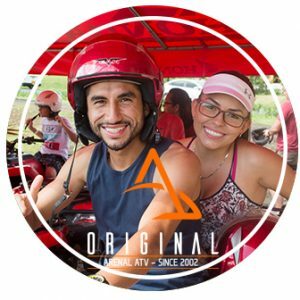 This is a 2 hours tour full of adrenaline in front of the astonishing Arenal Volcano from a different perspective and an experience you will never forget.